This week’s Evolution 101 blog post is by UW graduate student Bryan Bartley. Synthetic biology is a new frontier in biological research where scientists and engineers are creating living systems out of molecular chemistry. In the last half century, the fundamental biochemical pieces and processes that comprise the phenomena of life have been isolated and studied by scientists in the laboratory. This reductionist approach to molecular biology has yielded enormous insight into the basic molecular units that govern life, such as genes encoded on DNA. Today, a new approach, a synthetic biology, is possible in which basic units of biochemistry are re-assembled into new living systems, using platform technologies such as DNA synthesis, genome engineering, simulation tools, and computer-aided-design. Some present examples of synthetic biological systems that have been built are artificial microbial ecosystems (Shou 2007) and a self-replicating RNA microcosm (Lincoln and Joyce, 2009). In the future, foundational technology like solar energy, biofuels, and medicines may be synthesized out of wetware. Synthetic biologists use both principles of rational and evolutionary engineering to construct biological systems. Rational design principles such as standardization, modularity, and mathematical simulation have helped engineers build automobiles, airplanes, and computers. These rational approaches are now being adapted to help design living processes at the molecular and cellular scales. However, biological systems, even ones like E. coli that have been studied for decades, are so complex that classical engineering concepts may have practical limits in a biological context. This matter is of philosophical interest among BEACON researchers. 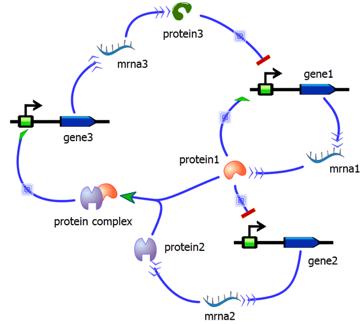 Therefore, evolutionary approaches such as directed evolution, distributed computation, and stochastic simulation, are necessary and complementary to the rational approach in synthetic biology. Some BEACON researchers are interested in accelerating the evolution of microbial strains in the laboratory. For example, it may be easier to evolve a desired phenotype rather than design it de novo. Over billions of years, evolution has generated a vast reservoir of creative biodiversity which is of great importance to synthetic biology. Many life forms have evolved solutions to problems of great importance to human beings, such as the capture of energy from sunlight, the production of medicinal compounds, and the neutralization of toxic chemicals. Many projects in synthetic biology are attempts to take some of nature’s best biochemical designs and transfer them to new host microorganisms where they can be harnessed in a more direct manner. For example, microbes can be genetically modified to produce rare and precious molecules that are otherwise difficult to synthesize through industrial chemical synthesis. In the near future, biologically-based modes of energy production may become sustainable, renewable, and compatible with an ecologically stable economy. This entry was posted in Evolution 101 and tagged directed evolution, Evolution 101, Synthetic biology. Bookmark the permalink.